When an undercover cop gets too close to revealing the mastermind of a drug syndicate, his cover is blown. Double-crossed and under a false identity, he's thrown into a Thai prison, where a guard discovers the inmate—claiming he's a cop—is a bone marrow match for his dying daughter... and his warden may have an even deadlier operation hidden within the prison walls. 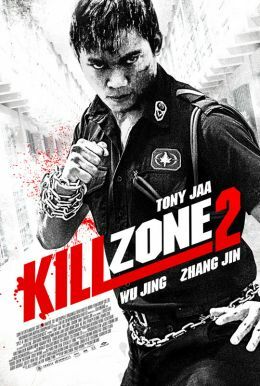 In this giddily frenetic follow-up (though not a sequel) to modern martial arts epic KILL ZONE (aka SPL: SHA PO LANG), action icons Tony Jaa (ONG BAK, THE PROTECTOR) and Zhang Jin (IP MAN 3) team up with Hong Kong megastars Simon Yam, Wu Jing, and Louis Koo for a breakneck story of dirty cops, prison riots, and black market organ transplants, all brought together by a nonstop series of inventive, bone-crunching set pieces.